In 1814, Malta became part of the British Empire. After the opening of the Suez Canal, it became an important stop on the way to India. During the Second World War, Malta was very important due to its proximity to the Axis shipping lanes. Malta became an independent state in 1964, following intense negotiations with the UK. It achieved independence as a Commonwealth realm. This meant that Malta retained the British monarch (Queen Elizabeth II) as its head of state. In 1971, the Malta Labour Party won the election and began promoting the idea of transforming Malta into a republic. On December 13, 1974, the country's constitution was substantially revised. 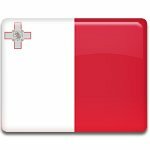 Malta became a republic within the Commonwealth of Nations. Republic Day is one of Malta's five national holidays. It is celebrated throughout the country with various festive events and activities, including (but not limited to) flag-hoisting and wreath-laying ceremonies, public speeches, military parades, awarding ceremonies, and cultural events. The largest celebrations are held in Malta's capital Valletta and in the town of Marsa, where the Republic Day monument is located.